An undergraduate research technician at N.C. A&T’s Center for Excellence in Post-Harvest Technologies has been named a finalist in the Undergraduate Student Research Symposium sponsored by the American Chemical Society. 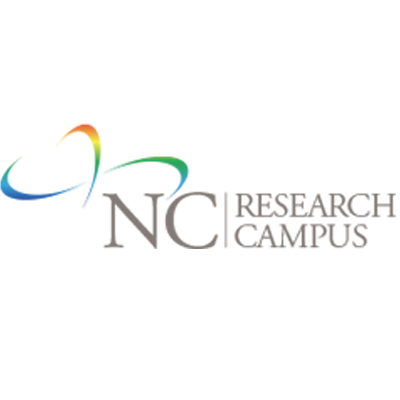 The center is located at the North Carolina Research Campus in Kannapolis. It is operated by the School of Agriculture and Environmental Sciences. Nicholas Stone, a senior biology major at Davidson College, is one of six finalists chosen from an international pool of applicants. He will present his research on “Alkylresorcinols: Purification from wheat bran and quantification in whole grain wheat breads” at the 249th ACS National Meeting in Denver, March 22 to 26. The symposium is conducted by the Agricultural and Food Chemistry Division of the ACS. It is open to all undergraduates conducting research in agricultural food chemistry. Stone, who is originally from Winston-Salem, works in the lab of Dr. Shengmin Sang, associate professor and lead scientist for functional foods. Originally a summer intern, Stone quickly progressed from helping with small tasks like washing dishes to becoming a full-fledged member of the research team focusing on the study of alkylresorcinols (AR), a bioactive compound in whole grain wheat and rye. This spring, the Department of Energy and Environmental Systems will hold weekly seminars conducted by its doctoral students. All seminars will be held on Thursdays from 11 a.m. to noon. The location will vary between Fort IRC Room 410 and Gibbs 307. The first seminar is this Thursday, Jan. 29, in Gibbs 307. The seminars will cover a broad range of disciplines and topics, including carbon sequestration modeling, smart grid systems, sustainability in higher education, natural products’ immunotherapy effects on cancer, and topics relating to the NSF CREST Bioenergy Center and NSF Engineering Research Center for Revolutionizing Metallic Biomaterials. Dates and topics for the entire series follow the jump. As cyber attacks become more powerful and frequent, North Carolina A&T State University is again expanding its graduate-level cybersecurity program. A national initiative announced Thursday will provide funding for the Department of Computer Science to expand enrollment in its master’s and doctoral programs. The growth comes just a year after the department admitted its first students at the Ph.D. level. N.C. A&T will work with 12 other historically black colleges and universities and two national laboratories to dramatically grow the workforce of professionals, researchers and academics prepared to lead the nation’s defense against cyber attacks. The project will be funded by the federal Cybersecurity Workforce Pipeline Consortium, a program to spark interest in cybersecurity in students from elementary school to graduate school. The $25 million, five-year program is sponsored by the U.S. Department of Energy and its National Nuclear Security Administration. A&T will be involved at the master’s and doctorate levels. Graduates from the other colleges and universities will study and conduct research at A&T. Research will focus on cyber-identity protection and privacy in addition to cybersecurity in general.